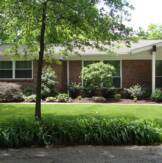 Wiese Nursery offers residential and commercial landscape design and installation. We install for many local builders including, Greater Missouri Builders, Mckelvey Homes, and Homes by Whittaker . To see some of the work we have done for Whittaker homes visit The New Town development in Saint Charles. We are very proud to be the designer and installers for this beautiful community.